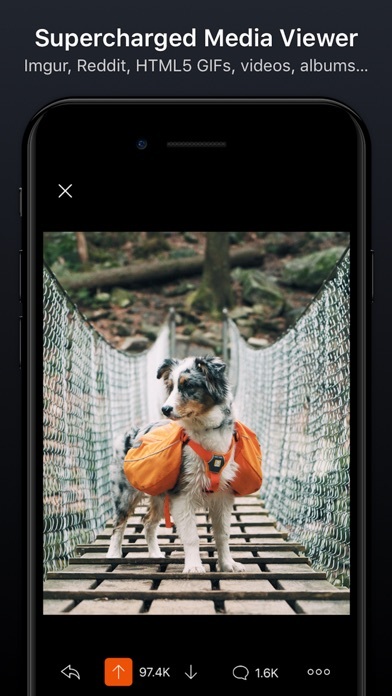 Nice app, but imgur albums does not load properly. I like it overall and have bought Pro, but imgur albums and galleries have been broken for like 6 months for me throughout multiple updates and Apollo subreddit posts. 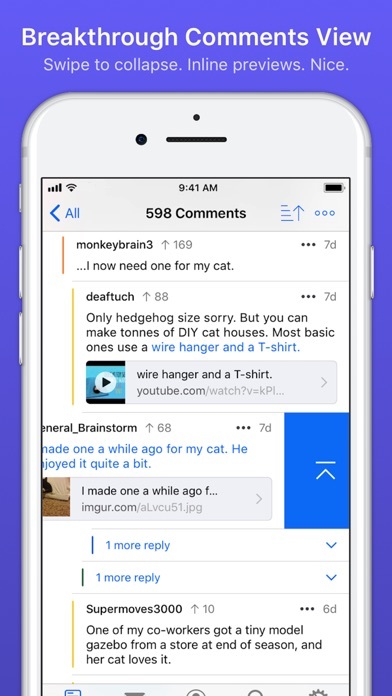 Great reddit client, easy to use, has fantastic UI (on the phone). However I don’t like it on the iPad (it uses the same UI as on the phone, which doesn’t really fit the bigger screen) and I’ve also encountered some bugs, like some comments begin to collapse while I’m scrolling through them. Apollo провёл многовато времени в бете, но разработчики исправили сотни багов и сделали безупречный клиент так, как будто его сделала сама Эпл. Просто и функционально. Горячо рекомендую. What a scummy update. Basic functions like notifications and app theming are locked behind the subscription. I am sorry I spent money for the Apollo Pro. I'm sure there won't be any substantial features added for Basic and Pro versions anymore. The best reddit client in the store. Приложение не отображает альбомы imgur, совсем, просто пустое место. Автор игнорирует проблему больше года. 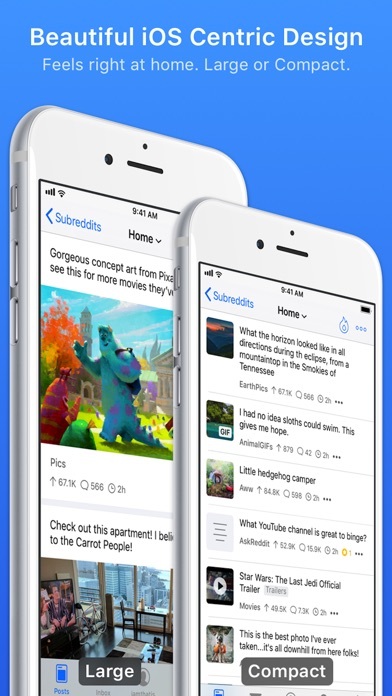 A perfect reddit app with smart gestures. But imgur albums/galleries still don’t load. Just a black screen with an X in the corner. Why in 90% times when i'm commenting, i see - "Error Commenting", and i can do nothing, not only me have this problem, pls fix it. Привет всем кто пришел с Tjournal! Удобнее официального клиента и прокрутка не лагает. It's nice and good-looking, but could you please add a reading mode or something so as to be able to highlight/copy words from posts? I love this app, it is a pleasure to use it. But can we have the most amazing feature that alien blue had - remembering the last place you visited when the app is shut down so you can start from there and not homepage? That would make it epic. Благодаря Apollo стал сидеть на реддите практически 24/7. Невероятно удобно! Finally an app to surpass AlienBlue! Switched from Narwhal, to which I switched from the official flop of an app. 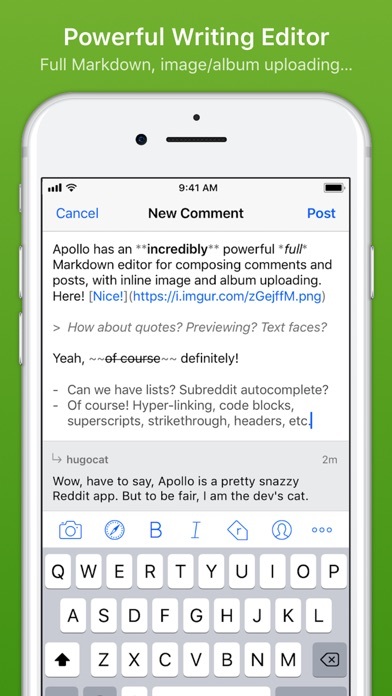 Apollo manages to be both functional (hello Narwhal) and visually pleasing (hell no Natwhal). The dev is a genuinely great person, too. Hope he sticks to his promises, so that we actually get the ideal iPad Reddit app. 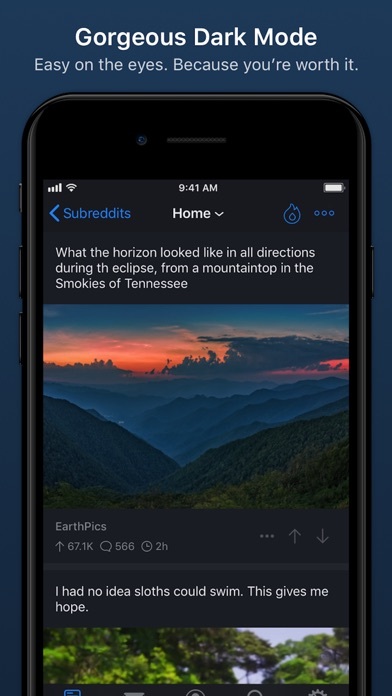 In the meantime, I’ll be using Apollo on my iPhone and won’t be looking back. Thanks for creating this gem.